In 2014, we had the pleasure of hosting the Gavin Wallace Fellowship. Jen Hadfield was the 2014 Dr Gavin Wallace Fellow. This annual award was established in 2013 by Creative Scotland to honour Dr Gavin Wallace for his stoic passion and commitment to supporting the Scottish Literature Community. The residency gave Jen the opportunity to receive mentoring, attend courses, lead workshops and use the writing centre as a retreat space. 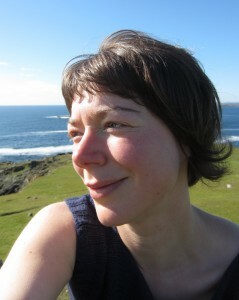 During the Fellowship Jen developed work using the idea of flotsam and jetsam,to explore themes of place and identity.